Atabey is an interactive installation that explores the relationship between the inherent life in trees, water as a catalyst for growth, and the way roots are guided to underground streams through sound. 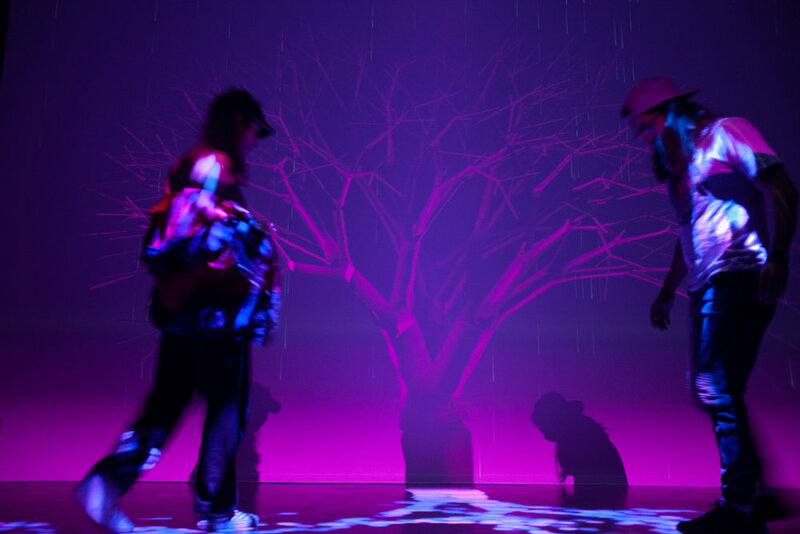 As participants enter the space and become underground water sources, the tree's root system grows to interconnect each of them and circulate life, and their presence and movement directly affects a dynamic music composition. Authoring custom C++ plugin for TouchDesigner that simulates venation growth patterns and runs at 60 fps, based on this white paper. Creating custom, multi-person tracking system capable of positionally tracking up to 25 participants using a single overhead Kinect. Designing a three-machine real-time rendering network for dynamically generated quadraphonic sound and 8-channel projected visuals. All visual and sonic content, which is almost entirely generative.